There are days when you really, do not want to spend time in the kitchen. Even for a person like me who enjoys cooking I need my break.. But when you have a hungry husband who decides to come home for a late lunch, you not only need something plate-full but belly full. But I was just in no mood to cook yesterday… I could feed him ramen noodle, but then his reaction would be “you have a food blog and I get ramen noodle for lunch? how cruel is that?” So, even before those comments were thought of by him, I came up with this quick easy and spicy snack, thanks to the 6 large potatoes in my fridge. You start with the oil in a wok/ kadhai and saute the onions, when they turn translucent add the green chillies, follow with the potatoes, continue to saute for about 2-3 mins on high heat and then add the powdered spices except for the chat masala. Once the potatoes begin to turn golden brown add the the Mint chutney/ mint paste and tamarind paste. Make sure they coat the potatoes properly (makha makha as they say in Bengali). 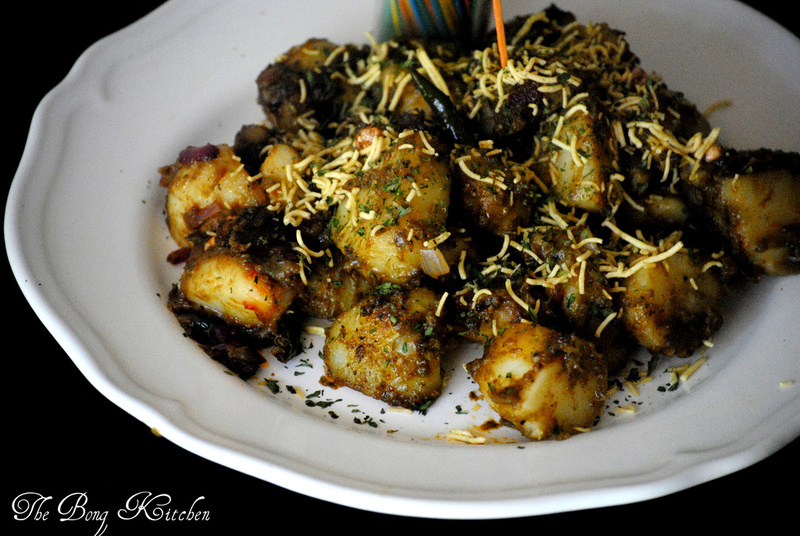 The potatoes are ready by now, garnish with chopped coriander, fresh green chillies, chaat masala, bhujia and lemon juice. 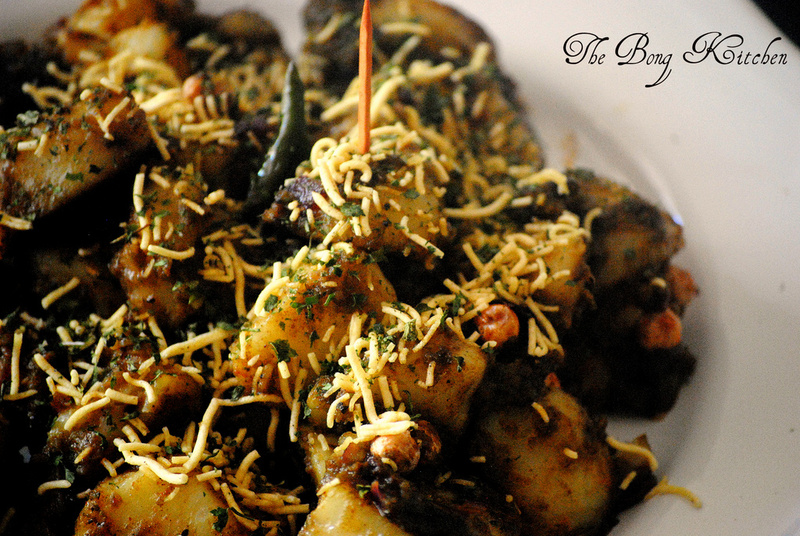 Serve with Toasted bread or even rotis or just by it self. Previous Post Baigan ka Bharta; courtesy Aman Kahlon..